We have proudly served Bowling Green and the surrounding communities since 1976. We have proudly served Bowling Green and the surrounding communities since 1976. Throughout this time, we have maintained, nurtured and enhanced a tradition that forms the very foundation of our approach to delivering our services to our families, friends and neighbors—a tradition of caring. The reason I chose BG Manor for my wife is because of their excellent reputation within the community. One of the feelings that I had the entire time she was there is that she was safe and I didn’t have to worry about her when I wasn’t with her. Overall, I give BG Manor an A+! Other places care for people…this place cares for the individual. The family orientation really shines through in this care community. The feeling that I had during my entire stay at Bowling Green Manor was that of an extended family. You are truly treated like family and it shows in every staff member. It’s not the facility itself that make the experience…it’s the people within the building that make it worthwhile. The nursing staff and the therapy department were EXCELLENT! Thank you all so much for getting me back home! - Wally and Elaine D.
In 2011 I came to Bowling Green Manor for rehab. I chose it because my aunt resides there. Then in 2012 I returned for more rehab. 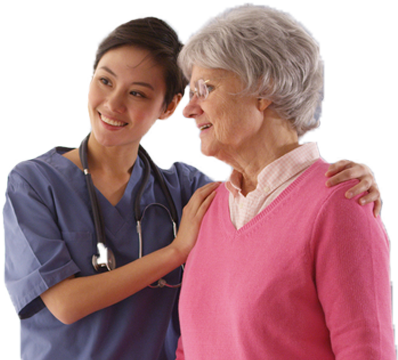 The nurses, aides and staff all treat you like family. The therapy group is the best in the country! It was truly a great experience and I strongly recommend Bowling Green Manor to anyone needing rehab. Bowling Green Manor completely changed my perception of nursing homes. I couldn’t even walk when I came in. After working with therapy and the nursing staff I was able to walk by myself and get back to doing the things I love to do. I am forever grateful to the caring, loving staff and I couldn’t have asked for a better place to get the care I needed.